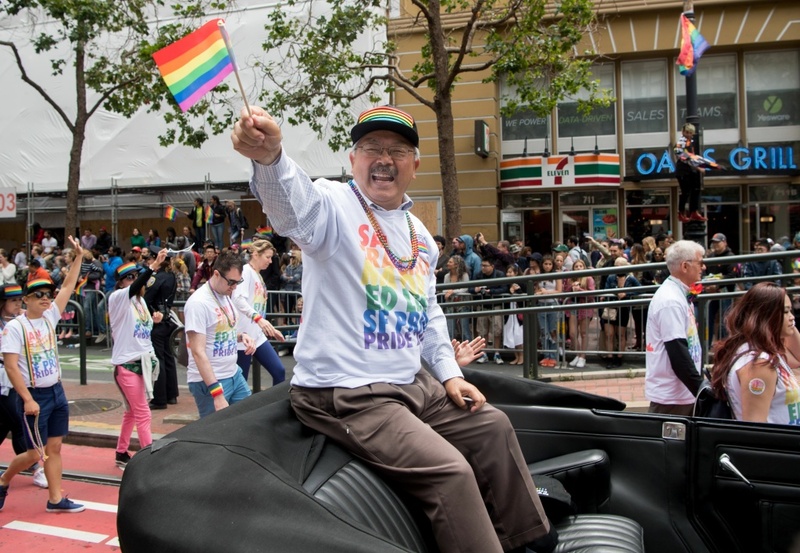 San Francisco Mayor Ed Lee waves to a cheering crowd along the San Francisco Pride parade route in San Francisco, California on June 25, 2017. San Franciscans are in mourning today as they remember Mayor Ed Lee, who died unexpectedly on Tuesday morning at the age of 65. The San Francisco Chronicle reports Lee suffered a heart attack while grocery shopping late Monday and was taken to a nearby hospital, where he died surrounded by family and friends. Ed Lee was the city’s first elected Asian-American mayor, but his legacy lives on far beyond that milestone. 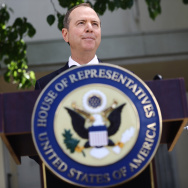 Under his leadership, San Francisco saw a major tech boom that brought industry giants like Twitter, Uber, and Square to make their headquarters on Market Street in downtown, making the city a symbol of America’s tech boom. He embraced the ‘sanctuary city’ label, championed affordable housing, an issue that was important to him from early in his career when he was a tenants rights attorney, and fought for policies and programs to help combat homelessness. 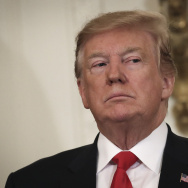 His tenure wasn’t without a few bumps in the road, as he also had to contend with criticism about San Francisco’s ballooning property values and housing costs that have forced many middle income families out of the city. Mayor Lee was also beloved for his down-to-earth personality. Those who knew him described him as accessible and genuine, a down-home kind, detail-oriented guy who liked to make jokes and push for political consensus. 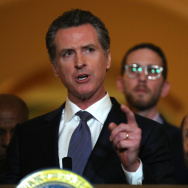 He was appointed mayor in 2011 after then-Mayor Gavin Newsom became California’s lieutenant governor, accepting the job with some reluctance at the the time. He then went on to win elections in 2011 and 2015, and his term as mayor was set to run through 2020.